First released at Cornwoolly, our latest knitting pattern is now available online! 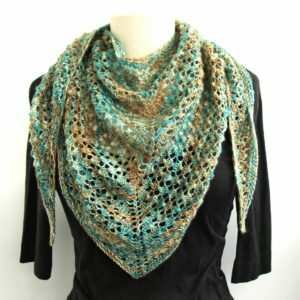 The Lacy Heart Shawl pattern is an easy and addictive knit using just one 100gram skein of any of our 4ply Perran Yarns. The shawl is shown knitted using 100grams of our 4ply Superten (merino tencel) yarn in shade ‘Sandy Toes’. 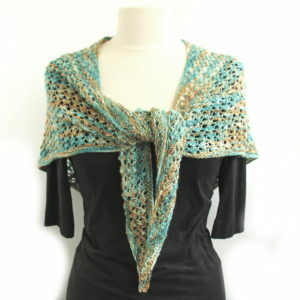 It can be worn at the front like a scarf, or around the shoulders like a classic shawl. 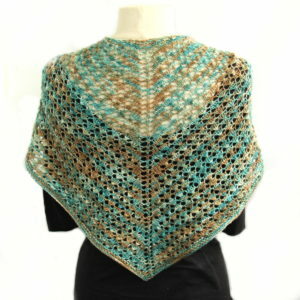 The pattern is FREE with your purchase of the 4ply yarn if you request it at checkout, or can be purchased by itself. We’d love to see your finished versions of this on Facebook or Instagram – just tag @PerranYarns so we see them!